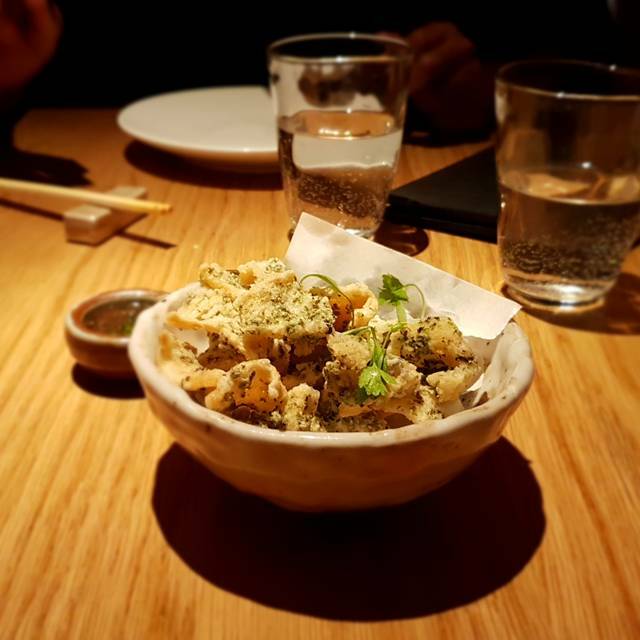 We went to the Sunday Brunch at Roka for my son's 10th birthday treat. 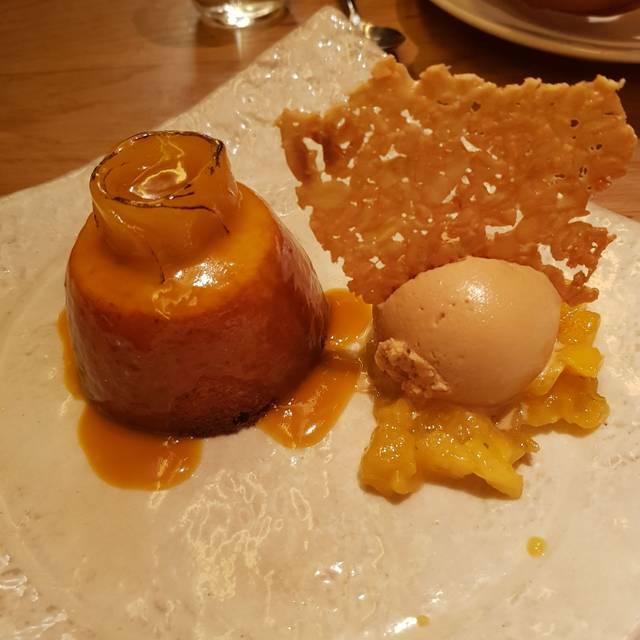 The food was fantastic, the service was very attentive and I was thrilled to see both my children trying new foods. The buffet would have been more than sufficient but the main courses were delicious too. 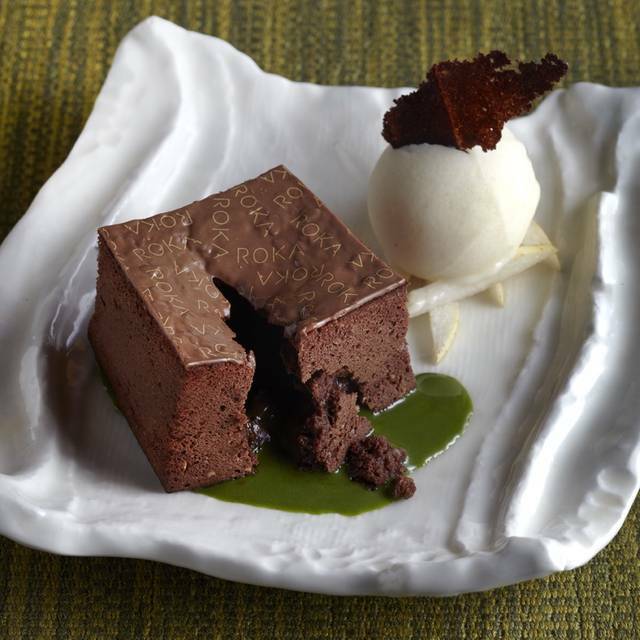 The crowning glory was the chocolate iced leaf wishing my son a happy birthday! The server made quite a few mistakes taking the orders. The lady who is in charge of the cloak room didn't show a single hint of welcoming. Lovely afternoon lunch with friends. Food was excellent, the ribs & chicken dumplings were delicious. Service was good, even though the restaurant was extremely busy. The food we were able to eat tasted well, cocktails were also good. However one of the guests in my party had a shellfish allergy and instead of offering to cook their meal in a way to avoid cross contamination it was made clear that they were unwilling to accommodate and instead identified about half the items on the menu which should not be ordered. I have been to much smaller restaurants who have dealt with this by cooking the meal separately, took a little longer but it showed they really cared about their customer. Very disappointing that such a 'high profile' restaurant showed such lack of care for their customer. Doubt I will be visiting this restaurant again. 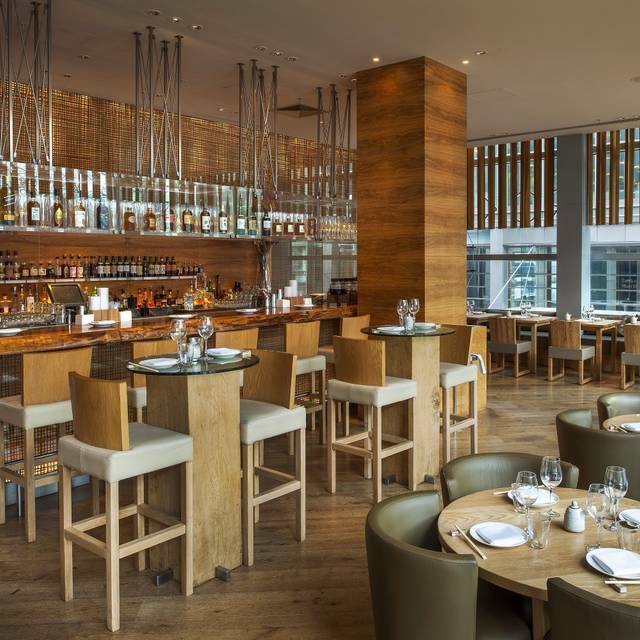 Fabulous Japanese food in a swanky environment but it is expensive - approximately £80 per head. Overall one of the waiters was a bit rude when I asked him for the bill. He got a bit frustrated since he wasn't our waiter and covering a different area, his attitude was very poor and overall rude. 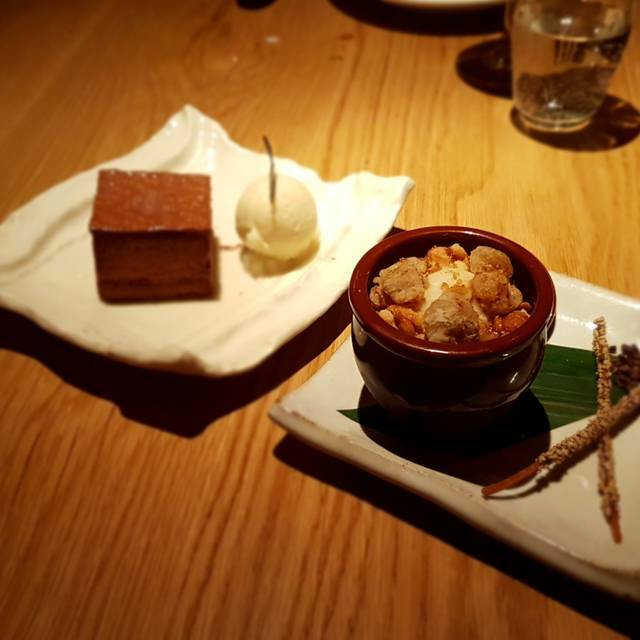 With not a great deal of exposure to Japanese cuisine I went to Roka with high expectations only to be disappointed. Food was good but not outstanding and didn’t match the prices, which were high. The service was not very good. Service was impeccable but the food was not as good as it promised. The lunch menu is a better deal compared to if you are ordering from the a la carte. Sunday brunch is great value for the calibre and variety of food. Would absolutely recommend and visit again. Food is delicious ! Lots of selection of fish ,steak, veggies. The sliced steak is incredible, as are the ribs. Staff were far too attentive, keeping asking if we wanted more drink every 5 mins - back off ! Ambience is a bit crazy, full of folks ready to go clubbing so the attire is questionable for a nice restaurant meal. The atmosphere is dreadful not high end at all really tacky place not like the Aldwych restaurant. 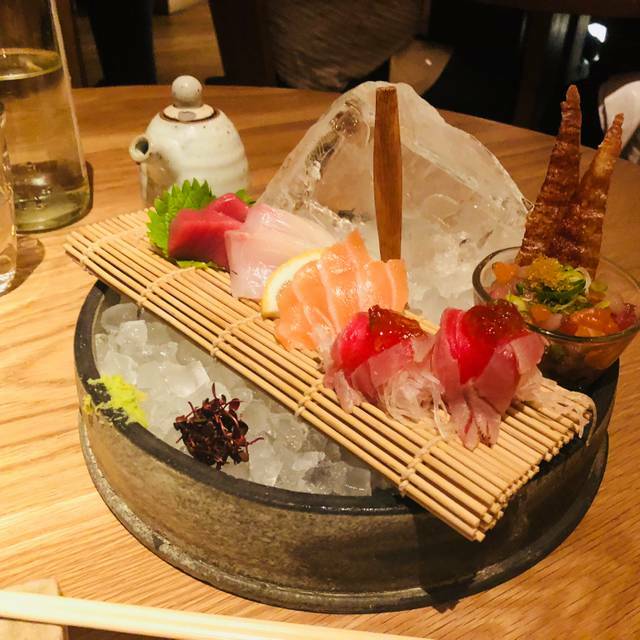 The food is trying to be amazing but missing so many points the sushis and sashimi you can get better quality and price in other Japanese restaurants in London. 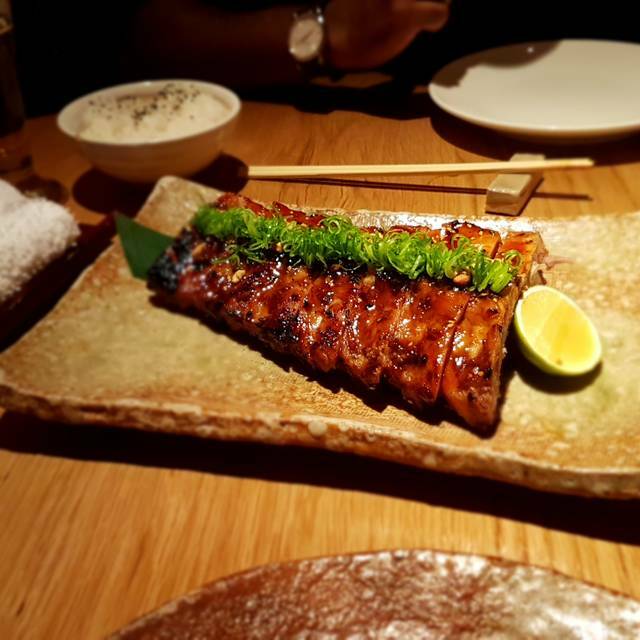 If its for the robata that you are going there are also better options in the city at similar prices. The staff is hit and miss, some nice other laud and with no notion of service. So overall not worth going!! Always fantastic!!! I have done the brunch 6 times now and it is the best brunch in London. Food is always great, the service is on point and the atmosphere is good. There is no music (that i know of) or DJ but it is quite loud so there is a buzzy atmosphere! Can't wait to go again already! Very good food and service! Really good experience! Can’t fault the food absolutely love it! Service wasn’t great this time though. Was very busy and understaffed in our area. Usually your glass is never empty at the brunch however on 3 or 4 occasions we had an empty glass and had to wait a while for a top up. So much food! They serve both small dishes to your table and tons of dishes on the buffet to choose from! Unlimited wine. Great meal prices can be expensive, lamb chops are very tasty but getting smaller. 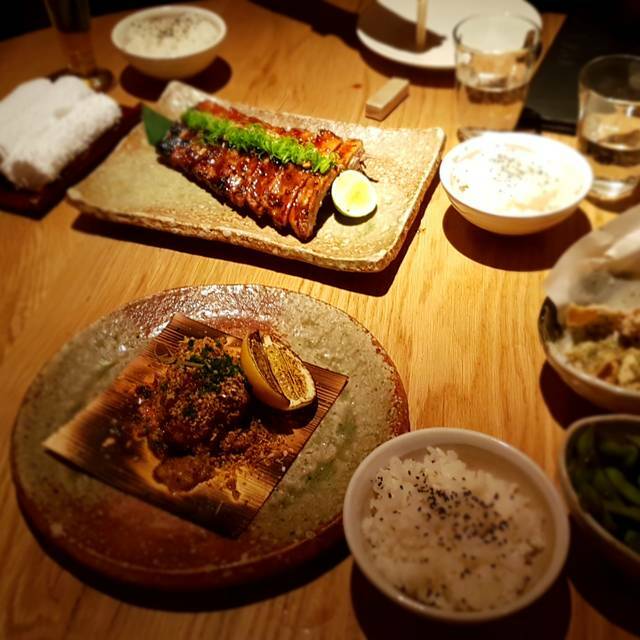 excellent set menu at Roka Canary Wharf, more than we could eat so we took some away. It was getting very busy and a little noisy as the night went on but the food was amazing! The food was amazing, the recommended wine was delicious and the overall experience awesome! Great food. Fantastic service. Awesome ambiance and great value! Great as usual! 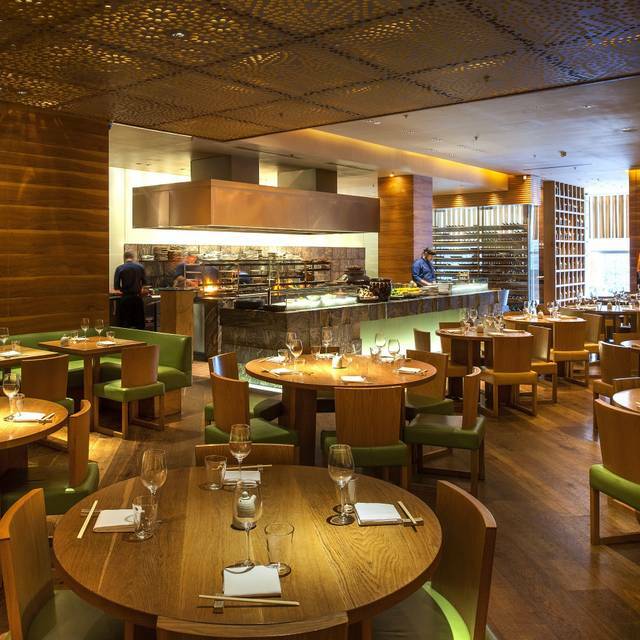 Delicious food, attentive staff and really nice ambience. So good I'd love to stay more than the allocated 2. 5 hours! Service missed a few steps but overall a great night. Friends form out of town loved it. If you love sushi and love paying the price for sushi, you'll love this place!